Paper Makeup Stamps: June Release Sneaks Day 2 - Freckled Lemonade! Welcome back to day 2 of our sneak peeks of the June Release! If you've missed the info on the release challenges or other sneak peeks, just scroll down! Today we are showing off one of our new sets called Freckled Lemonade! All artwork (and wordart and sentiments) were done by Shaela Odd for this set. Here are some snippet samples! Remember to click on the name of the Paper Makeup Artist for a full size view as well as some details on their card! If you'd like to win yourself this set, just leave a comment on this post saying what you like best about it and you are entered to win! Dont forget our new release will go live on the site at 8pm CST on June 7th. We'll also have our release party at that time in our forum and we would love for you to join us! 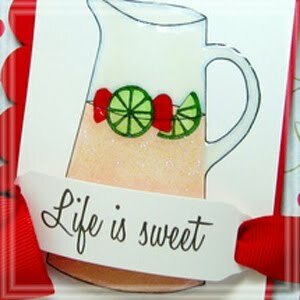 Love these images- never thought to do a card with lemonade!Thanks for inspiration!! This is wonderful! Like best? I am torn between the bendy straw-FABULOUS- and the wonderful saying about bitter lemons! 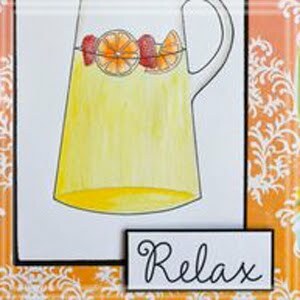 Looks like some relaxing, yummy stamps -- I love the sayings! ooh...I have wanted a lemonade set so I'm soooo glad to see someone has come out with one. Great size of images...fun fruit...and the juice can be any color/flavor you'd like! 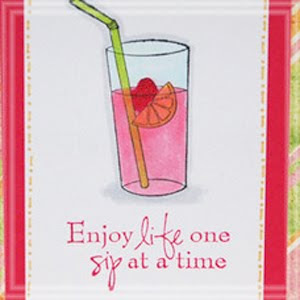 I love all the bright beautiful colors and how the sayings just make the card so inviting. Thank you! I love these! So refreshing!! Wow!! I am so looking forward to this release!!! Love this set as well! Great sneaks, girls! Oh I LOVE this set! 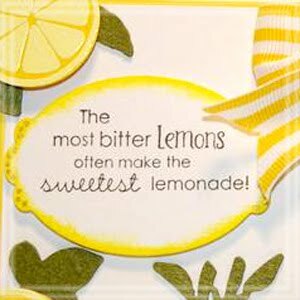 The sentiments are my favorite part, but the images are just adorable and perfect for summer! Love that mixed fruit image! So pretty and looks like a joy to color! Can't wait to get this set! i like how sweet and fun it looks. Perfect for summer cards to cheer up friends. Very yummy and refreshing samples. Looks like a great set! My fav is the sentiments that go along perfect with those images! All of these images are wonderful! I would love to use them to make some summer cards and projects. I love the image of the fruit on the first card. Yummy! They all look so fresh and yummy! What I like best is that any of the stamps are great with bright and vivid colors. And that alone makes me think of summer and relaxing with a cool drink! Love these!!! The fruit looks so yummy! How fun!! Love Sneak Peek time!! I think the pitcher is adorable! 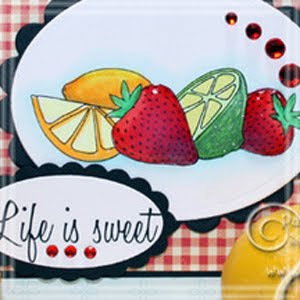 - Mary R.
I totally love this set...I am all about some fruity stamps..